As Cardinal Dolan Washes Hands of Father Pavone, Whither Fidelity? 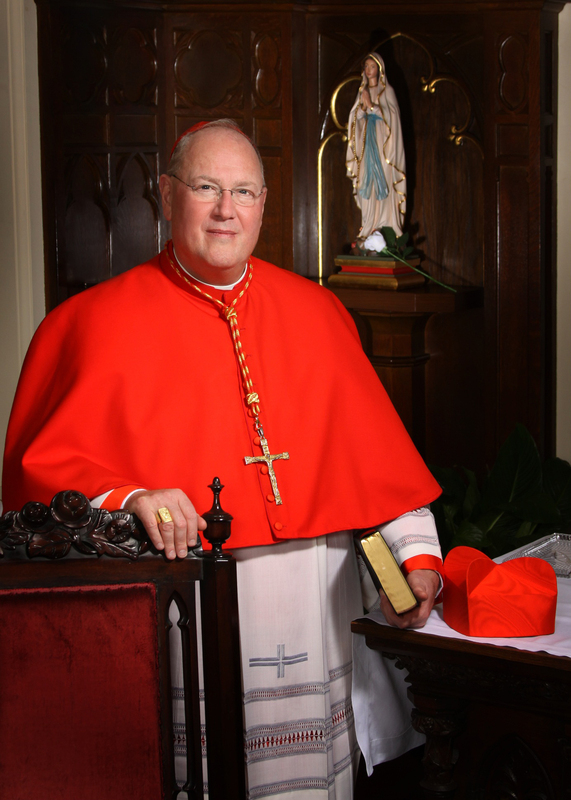 NEW YORK (RNS) In the latest clash between the Catholic hierarchy and one of the church’s leading anti-abortion crusaders, New York Cardinal Timothy Dolan accused the Rev. Frank Pavone of continuing to stonewall on financial reforms, and Dolan said he is cutting ties with his group, Priests for Life. In a Nov. 20 letter to other U.S. bishops, Dolan said he did not know if the Vatican would now step in to take action against the New York-based priest, who for years has angered various bishops by rejecting oversight of the organization by church authorities and for refusing to sort out his group’s troubled finances. “My requests of Father Pavone were clear and simple: one, that Priests for Life undergo a forensic audit; two, that a new, independent board be established to provide oversight and accountability,” Dolan wrote in the letter, which was first reported by Catholic World News. “Although Father Pavone initially assured me of his support, he did not cooperate. Frequent requests that he do so went unheeded. I finally asked him to comply by October 1st. He did not,” Dolan wrote. The cardinal said he had “no idea” what the Vatican intends to do now. That last statement from PFL is regrettable, and one that I fear may signal a return to the smear campaign deployed against Bishop Zurek by several of Father Pavone’s supporters a few years ago. Is it really all about control? So far the bishop’s complaints have never progressed beyond the issue of accounting and accountability, so the charge about control really comes off as a smokescreen tactic to many faithful Catholics who are every bit as pro-life as the staff at PFL. In the last go-round on this issue, several supporters of Father Pavone mercilessly smeared Bishop Zurek as wanting to ruin Father Pavone, to wreck his ministry, of being a pawn of Satan. 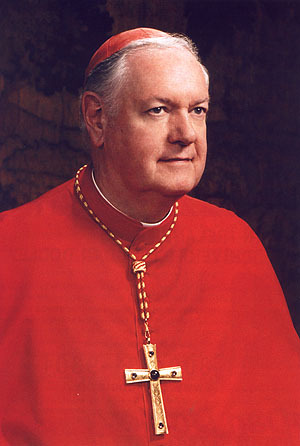 As many are not Catholic, it was easy to chalk much of that invective up to ignorance of the very nature of a bishop and his sacred office, of the respect and obedience due him from every Catholic, but especially from priests who register sacred vows of respect and obedience at their ordinations. What was appalling was the silence from PFL in the face of this merciless pillorying of Bishop Zurek. In 2011, Zurek denounced Pavone’s “incorrigible defiance of my legitimate authority as his bishop” and suspended his ministry. It then emerged that Priests for Life had been badly mismanaged, running an unsustainable $1.4 million deficit and failing to make key tax filings or allow proper financial oversight and safeguards. Pavone moved back to New York, saying he had the Vatican’s support and that he would not be cowed by any bishop. Then earlier this year, he and Zurek said they reached a settlement in their standoff and the problems seemed on their way to a resolution. But that apparently wasn’t the case, and Pavone’s fate now seems to rest with Rome. So what will it be now? Will the narrative be that Cardinal Dolan really isn’t all that pro-life? 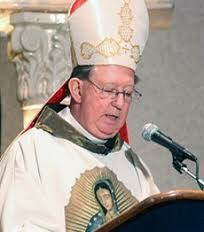 That gay-loving prelate who welcomed a gay contingent into the St. Patrick’s Day Parade in New York! On a few occasions when I have thought Cardinal Dolan erred badly, I wrote about it. But I didn’t smear him. I didn’t impugn his motives. I didn’t encourage a rebellion against him. I encouraged him to look to the examples of his predecessors in office. And all of that raises what is really at issue here. What does it mean to be a faithful son of the Church? Therefore, encourage one another and build one another up, as indeed you do. We ask you, brothers, to respect those who are laboring among you and who are over you in the Lord and who admonish you,and to show esteem for them with special love on account of their work. Be at peace among yourselves. In this chapter, PFL needs to strike a new tone. They need to put the “Priest” back in Priests for Life. How Catholic or priestly is it to set one’s supporters against a string of bishops? That new tone begins with respect and obedience towards one’s bishop. If the accounting is all in order, then we should get to that point. It would then become abundantly clear if “control” is at issue. That said, Bishop Zurek’s assertion three years ago bears mention again. As Father Pavone’s Bishop, Patrick Zurek bears moral responsibility for the stewardship of PFL’s finances if there is mismanagement by one of his priests of the $10 Million annual budget, and Bishop Zurek will answer to God for whether or not he exercised his sacred office with prudence and diligence. Every priest serves at the pleasure of his bishop, and his bishop owes him no explanation for changing that priest’s assignment. What would Padre Pio do? O Holy Priest of Ars, your precious remains are contained in a magnificent reliquary, the donation from the priests of France. But this earthly glory is only a very pale image of the unspeakable glory which you are enjoying with God. During the time you were on earth, you used to repeat in your dejected hours, ‘one will rest in the other life.” It is done, you are in eternal peace, and eternal happiness. O most holy Saint John Vianney, you were a priest who was outstanding in pastoral zeal. May priests today be filled with that zeal, faithful to their calling, refreshed in their labors by the Holy Spirit, supported by their fellow workers and appreciated by those whose lives they touch. Dear Curé of Ars, pray for us, but especially for all priests! Holy Priest of Ars, I have confidence in your intercession. Pray for me during this novena especially for grace to accept the Apostolic governance that our Lord established for his Church, that I might empty myself of all my fears and apprehensions of what this estrangement of priest and bishop might entail for the cause of life, and to be filled with the peace of the Holy Spirit, which surpasses all understanding. Through your intercession, may we all draw closer to our bishops and our priests, those who make this cause a priority, and those whose focus is on other, equally essential, causes for the People of God. Some years ago I read a commentary by the brilliant Dr. Janet Smith about how the media reports on the Catholic Church. Essentially, Dr Smith observes, the media try to apply the template of the majority party in power (conservative Popes) and the minority opposition (liberal theologians). It doesn’t work with the media, because they fail to grasp the ecclesiastical realities of the Church. Again, it’s not a democracy. There really is no such thing as liberal and conservative. There is orthodoxy and fidelity vs. heterodox rebellion. They aren’t competing goods. 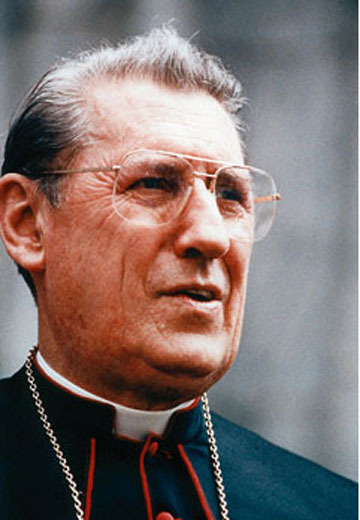 If they (and the very vocal Catholics protesting against Bishop Zurek) truly understood what a bishop is and what a priest is, they wouldn’t have taken the course of action that they have. This terse clarification from Bishop Zurek translates: I’m the one who wears the Mitre, and I’ll decide what is best for one of my priests (That’s what was meant by, “At my discretion and solicitude, he has faculties for ministry in the Diocese of Amarillo.”). It’s time to back off. Flying banners of butchered babies, trucks with similar grisly images circling the Cathedral school, are pretty thuggish tactics from Father’s supporters, as are some of the letters people sent me in hopes of my signature. I have signed no letters. I have made no phone calls to the bishop. I have instead been hosting a novena. I have also written to Father Pavone to convey my support of him, and my prayers that God’s perfect will be done. The thought that the pro-life movement simply cannot survive without Father Pavone is reflective of a serious spiritual cramp. I love all that Father Pavone has done, but one day he and I and this entire generation will be dead and interceding from Heaven. It will fall to today’s young to assume the mantle of leadership. The one whom we cannot survive without is the Holy Spirit. A priest has no priesthood of his own to exercise at will. He is merely an extension of his bishop, who being an Apostolic Successor, has the fullness of priesthood. Having a share in the Apostles’ company, bishops are free to act as they see fit regarding governance of their priests, so long as that governance is in accord with the moral and juridical norms of the Church. This bishop has underscored that he has restricted Father Pavone’s activities in order to provide a space for reflection. I’ve been urging that all simply give these two men the time and space to work this out. Our getting into a power struggle with Bishop Zurek will only reinforce his belief that Father needs some time away in order to reorient his priestly bearing. The thuggishness and wild accusations against Bishop Zurek have backfired, badly I’m afraid. It’s time that those making war on the bishops ask themselves if they are not fighting against God Himself by fighting His will being expressed through His Apostle’s Successors. They are redefining ugly. I’m praying for God’s perfect will in all of this, and I believe in the power of the Holy Spirit to make that will known with crystal clarity. Again, if we can’t hear the Holy Spirit, perhaps we need to be still. Street activism has failed in this case. Perhaps now we should try faith. Holy Priest of Ars, I have confidence in your intercession. Pray during this novena that Father Pavone and Bishop Zurek may join their hearts to our Lord’s Sacred Heart, that bound up in His Holy Priesthood they might come to know and do His will; that the laity in the pro-life movement be ever mindful of the authority and sacred trust Jesus placed in His bishops, that they be trusting of His promise to send His Holy Spirit who will lead them to all truth. Saint John Marie Baptist Vianney because of your love of God you showed great charity towards your neighbor. You could not preach on the Love of God without burning tears of love. During your last years, it seemed as though you could not talk about any thing else or live for anything else. Thus you sacrificed yourself to your neighbor by consoling, absolving and sanctifying them to the limits of your strength. Your charity inspires me to greater love of God, a love which is shown more by acts then by words. Help me to love my neighbor generously as Christ loves them. Holy Priest of Ars, I have confidence in your intercession. Pray that both bishop and priest may come together imbued with the spirit of your charity in their regard for one another, that within this honest space you may send your Holy Spirit to light their hearts afire with a spirit of mutual submission to whatever your holy will is for them. O Holy Priest of Ars, whose only comfort in this world was the real presence of Jesus in the tabernacle, was it not your great joy to distribute the Eucharist to the pilgrims who visited you? You refused Communion to the souls who refused to reform but to souls of goodwill you opened wide the doors of the Eucharistic Feast. You, who each day at Holy Mass received Holy Communion with great love, give me some of your fervor. With freedom from mortal sin, obtain for me a sincere desire to profit from receiving Holy Communion. Holy Priest of Ars, I have confidence in your intercession. Pray during this novena that Eucharistic zeal may possess both bishop and priest in Amarillo and lift them up to a shared vision for Your Holy Will in this dispute. O Holy Priest of Ars, you knew how important was a good confession for the Christian life. It was to procure the happy fruits of millions of souls that you agreed to be in an uncomfortable confessional, which was like a prison, up to 15 to 16 hours on certain days. I will try to develop the habit of frequent confession, to prepare properly each time and to have always regret for my sins, so that the grace of final perseverance but also the sanctification of my soul will be assured. Ask this grace for me. Holy Priest of Ars, I have confidence in your intercession. Pray during this novena for the refreshment of Father Pavone’s soul during this time of trial.